Carole Klein was born in 1942 in Brooklyn, New York. She learned how to play the piano aged four and then at High School formed a vocal quartet called the Co-Sines. She met Neil Sedaka at college and must of left an impression with him because he in 1959 he dedicated his hit, "Oh, Carol" to her. At college her friends included Paul Simon and Gerry Goffin. Gerry Goffin and Carole King formed a songwriting partnership and eventually married. Goffin and King went to work under publishers Don Kirshner and Al Nevins in the famous Brill Building, where chart-topping hits were churned out. Their first big hit was with "Will You Love Me Tomorrow" which was recorded by The Shirelles in 1961. Whilst the songwriting proved highly successful Carole was also keen to become a singer. She had a modest hit "It Might As Well Rain Until September" but when her follow up in 1963, "He's a Bad Boy” was less successful she concentrated on songwriting and pioneered a record label called Tomorrow Records. Together, the couple wrote over 100 chart hits in a vast range of styles. Now divorced and remarried, Carole had moved to the West Coast and formed a group called The City but the venture was not successful and Carole was suffering stage fright. In 1971 she released a solo album of reworked originals including new compositions. The folk flavoured album took the public’s attention and cascaded Carole into stardom as a solo artist. Tapestry became a turning point in her career and the album remained on the charts for nearly six years. In 1975 the songwriting duo of Goffin and King reunited to write Thoroughbred with David Crosby, Graham Nash and James Taylor. In the early eighties Carole retired to Idaho and became an environmentalist but returned to music again at the end of the decade. She continued to record sporadically throughout the nineties to critical success. 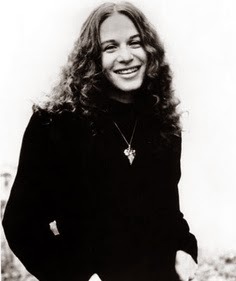 More recently Carole King became a political activist and set up "Living Room Tour" where she performed in private homes to raise campaign funds for the Democrats. She has recorded work with er daughter and did an Australian tour in February 2013. She also performed with James Taylor in a benefit concert to help victims of the Boston Marathon bombings in 2013.